The World Cup has come to an end. For most people who watched around the world, it has likely already faded into distant memory. But for a new generation of Russians who had never experienced an event of its magnitude, the tournament will have a lasting impact. 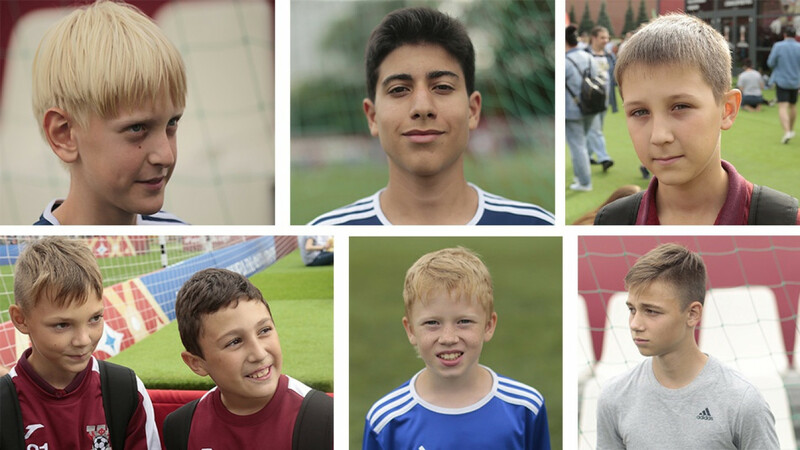 During a water break at a summer football camp in central Moscow, five Russian national team hopefuls spoke about their favorite memories from tournament. Russia’s national team, a dark horse candidate to win the tournament, rallied an apathetic nation around it with surprise performances. As the lowest-ranked team heading into the World Cup, it sent shockwaves around the world by advancing all the way to the quarterfinals for the first time since 1970. But then Russia beat Egypt too, and despite a loss to Uruguay, the hosts were through to the round of 16. And this was all before the biggest surprise of all: the home side’s defeat of heavyweight Spain on penalty kicks. More than just enjoying the festivities and Russia’s play, though, the tournament has changed the way they see their home country. That newfound belief is what 12-year-old Vadim Shiryayev, who plays for local club MFK Krepost, says will drive him to one day become a professional footballer. 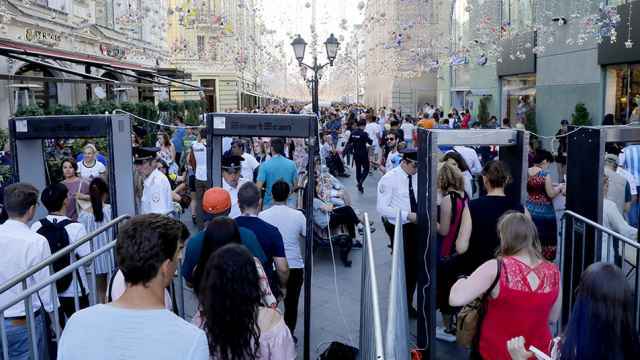 Shiryayev, two of his teammates and their coach were standing next to a football field set up at Red Square, where fans have been playing scrimmages and local clubs competed in a tournament. MFK Krepost came in third place. But even better was getting a taste of what it’s like to play in front of foreign fans. It wasn’t just academy players who got to experience something beyond their ordinary schedules. 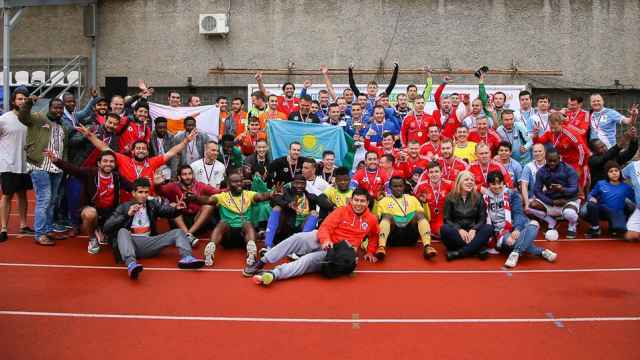 In May, 18 Russian orphans participated in the Street Child World Cup, a week-long football tournament held for abandoned children from around the world in the FIFA World Cup host country. For players who usually train on a “vegetable patch,” as one of the coaches put it, getting to play on professionally-maintained fields in the capital was life-changing. For Vadim Vize, the deputy director of the Moscow Football Federation’s Beskov Center for preparing youth coaches, the World Cup atmosphere and the home team’s performance will be a big boost to Russian youth football. For the children who spoke with The Moscow Times, foreign visitors were, ultimately, their favorite part of the entire experience. Ten-year-old Stepan Surikov of MFK Krepost boasted of selfies with Mexican fans. Summer camper Pavlovsky said his favorite part was helping tourists — including Brazilians and Mexicans — with directions. Fellow camper Tridrikh said his favorite part of the experience was a celebration of the Mexican holiday the Day of the Dead on Red Square. “I loved the makeup and the dancing the most,” he said. 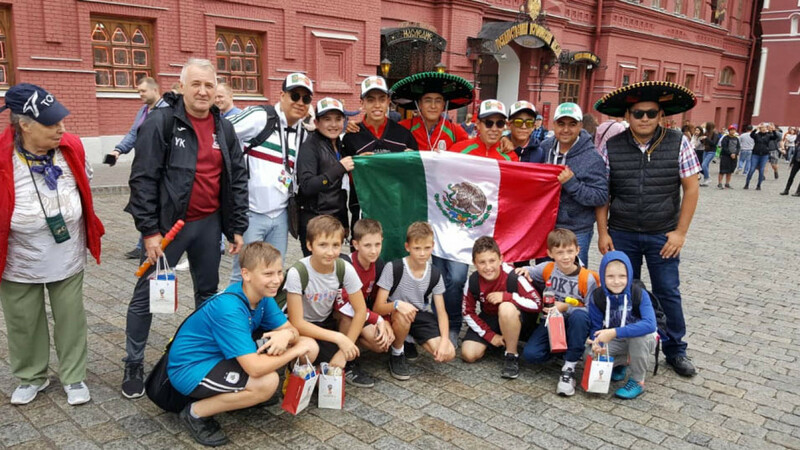 For most of the Russian children who played in the Street Child World Cup tournament in Moscow, it was the first time they had met foreigners. During a match between Uzbekistan and Pakistan, Alexei Bogdanov inched his way closer to the girls from the U.S. team who were seated on the bleachers overlooking the field. He started a conversation with the girl closest to him. Later, they shared their contact details and took selfies together. The children were also proud of how Russia had treated their foreign guests. The renovations — among the children, at least — have been a hit. “Look how many foreigners came here and everything was the opposite of what people thought would happen,” he said.